Cayin provided the iHA-6 free of charge for the purpose of my honest review, for good or ill.
I’ve been a fan of Cayin for a while now, thoroughly enjoying every product I’ve laid hands on. But thus far, I’ve only experienced their portable music players. As awesome as they are, everyone knows Cayin’s true might, and indeed their roots, lay in the desktop realm. It just so happens I was in need of a second amp. After attending the St. Louis Head-Fi meet last year, I decided next time I would have a table and share some of my gear. But I did not want to haul my main setup down there. The Audio-GD NFB-28 is a big f**ker, and not of the highest built quality. What if something happened to it? Also, it’s frightfully bound up to my home system. The hassle of extracting it for a few days and reintegrating this thing did not appeal to me. So I sent out emails. Lots of emails. Pinky seeks an amp. Do you have one you’d like to see reviewed? For nearly a year, I came up dry. Then, just a few weeks before the next St. Louis meet, goodfellow Andy Kong of Cayin agreed to send me the iHA-6. He had a vision only Pinky could fulfill. Knowing how big I was into mobile gear (again, having reviewed many Cayin DAPs) he wanted to showcase how well the iHA-6 integrated into a mobile setup. Obviously, this is not a mobile amp. Not by any stretch of the imagination. But when you are not on the go, when you come home and sit at your desk and desire greater quality of sound, this amp blends seamlessly with your portable equipment. That was the theory I would put to the test, at least. Before I get into that, however, let’s take a closer look at this amp. What is the iHA-6? 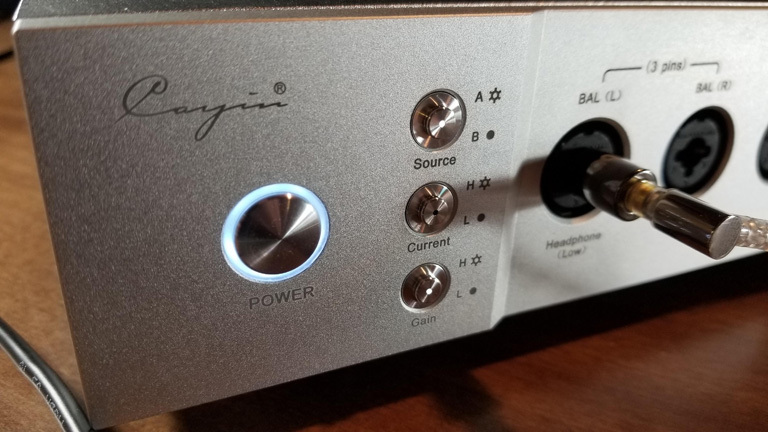 The Cayin iHA-6 is a balanced amp. 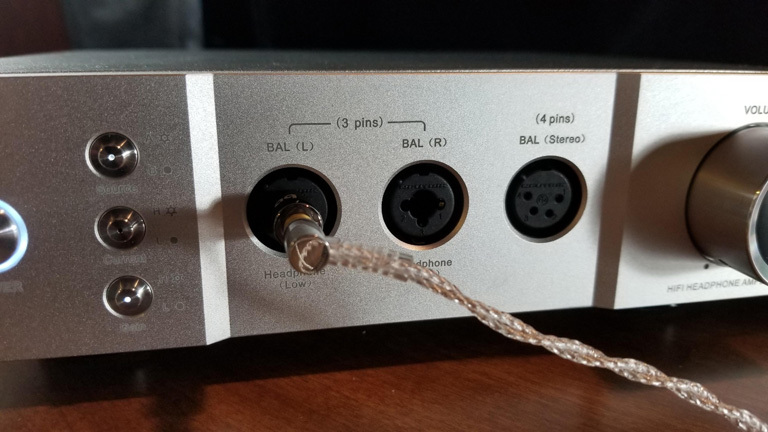 It takes either single-ended RCA inputs, or balanced L&R 3-pin XLR. However you input, the amp will give you TRUE balanced output. There is a 4-pin XLR port on the front for balanced headphone out. Then Cayin does something weird. They give you L&R 3-pin XLR (if your balanced cable is setup like that) which also functions as a 6.35mm single-ended port. The Left Side produces a Low Impedance output, while the Right Side is High Impedance. Goddamn. So… while there are limited inputs on the back, Cayin went the extra mile on the front panel. iHA-6 was designed as one half of a set, to be paired with the Cayin iDAC-6. If you visit the website I linked to above, you’ll see how smart they look together and know instantly they were meant to be stacked, or be seen sitting side-by-side. These two belong with each other. But that doesn’t mean you should feel bad about choosing just one. 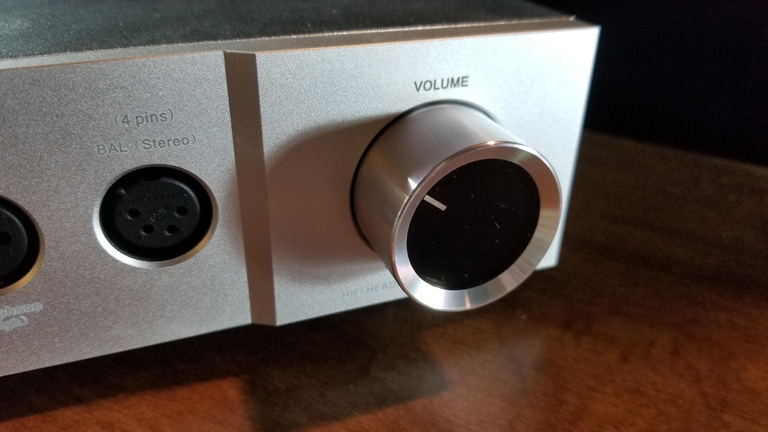 Audiophile DAPs these days have such amazing DAC implementation, it often feels like a waste to bypass all that with a digital output. 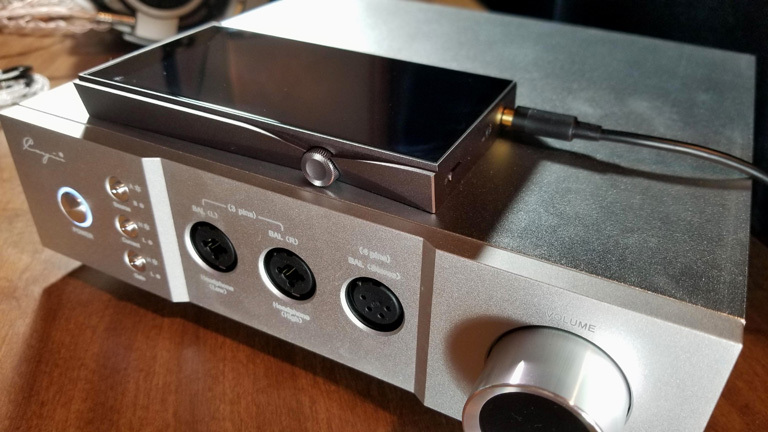 Instead of buying both a DAC & Amp for your desktop, the iHA-6 and a clean line-out DAP could be all you’ll never need. Which is exactly what I did at the St. Louis Head-Fi meet. 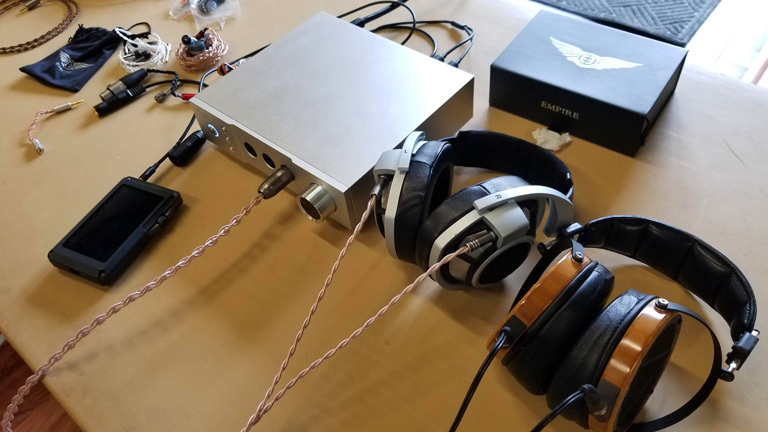 I brought the Cayin amp to drive a few full-size headphones (LCD-2 and HD800), and used my Opus#2’s line-out for source. Those dual SABRE DACs and super clean output laid a rich and mature foundation for the iHA-6 to build upon. It resulted in a fiendishly satisfying system which fully showcased the capacity of those headphones. 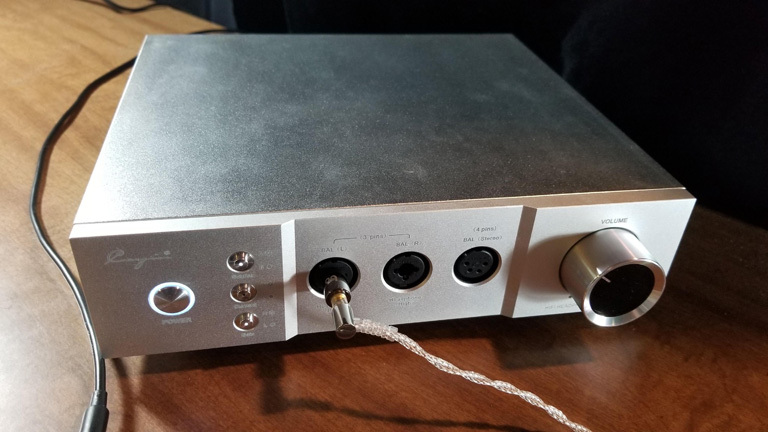 What sort of cable would you recommend to connect Sony WM1A to this? Is 4.4 TRRS male to L*R 3pin XLR exists?